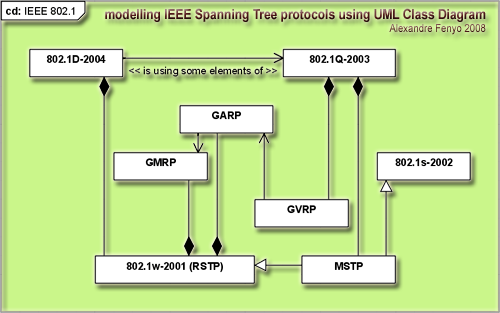 Spanning Tree and other relative protocols, produced by the IEEE 802.1 working groups, are defined using plenty of cross references. To really understand the dependencies between those protocols, I wrote an UML class diagram taking into account those relationships, in the last revision of these documents. 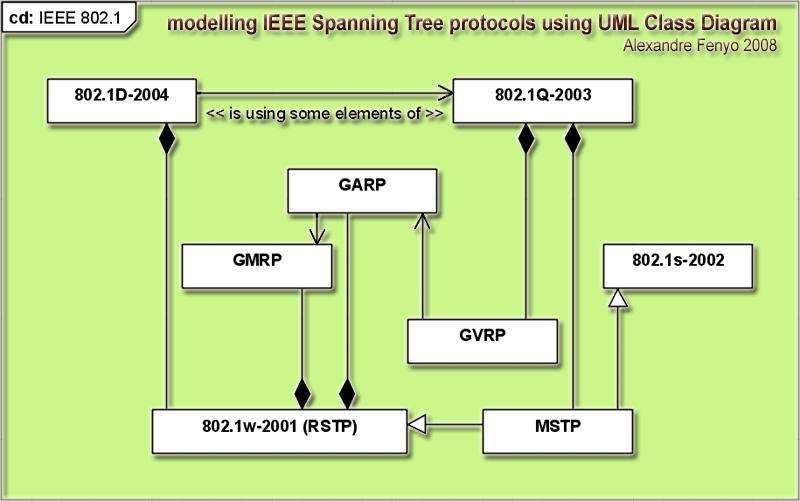 Some manufacturers, like Cisco, tried to introduce proprietary protocols solving the same problems than standard IEEE 802.1 protocols: PVST, PVST+, Rapid-PVST. You will not find them in this class diagram.